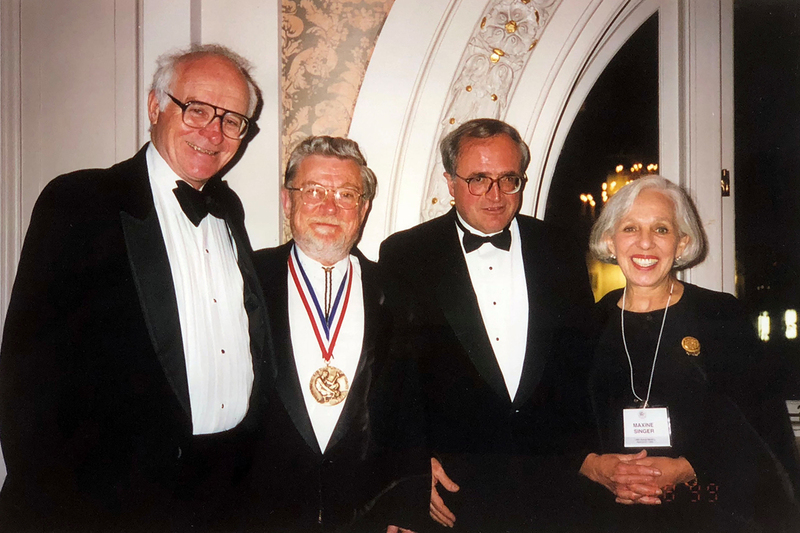 DTM's first Merle A. Tuve Senior Fellows (from left) Bernard Burke, Don Anderson, and Renzo Sancisi pictured with Maxine Singer, President of the Carnegie Institution from 1988 to 2002. 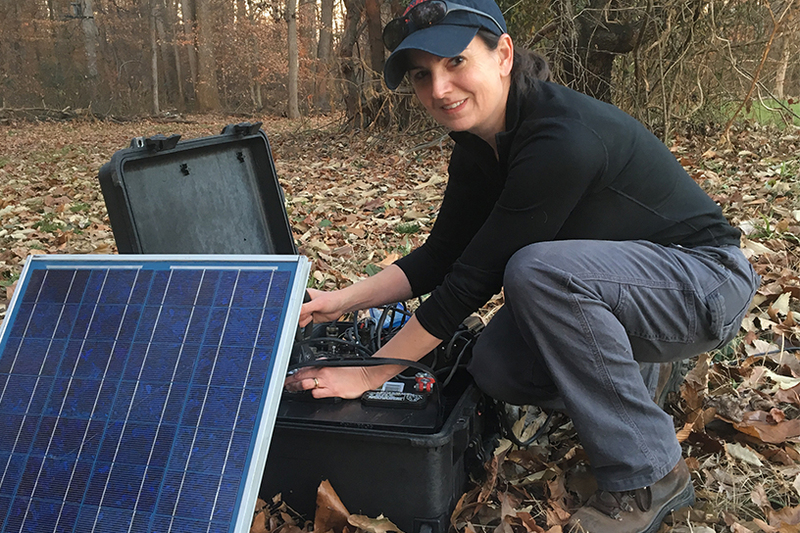 DTM's Diana Roman setting up a quick deploy seismic station on December 1, 2017 to monitor the aftershocks of rare, magnitude 4.1 earthquake that shook Dover, Delaware. Photo courtesy of Diana Roman. DTM volcanologist Diana Roman at Kilauea Volcano, Hawai'i, August 26, 2012. 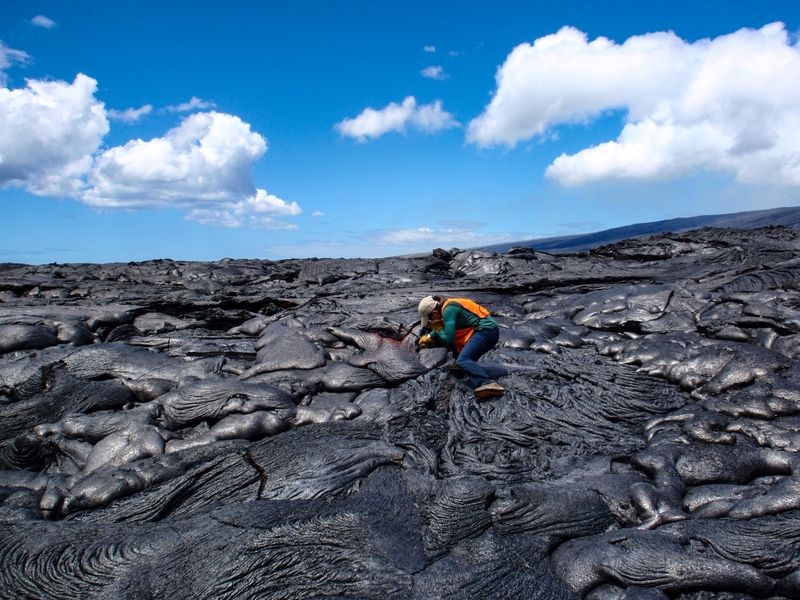 "This was actually a day off when I was visiting the Hawaiian Volcano Observatory a few years ago. There was a nice day when we didn't have too much work, so we decided to hike out to the active lava flows and just poke at them for a while, because who wouldn't want to do that!" Roman said. Photo by former DTM postdoc Christelle Wauthier. 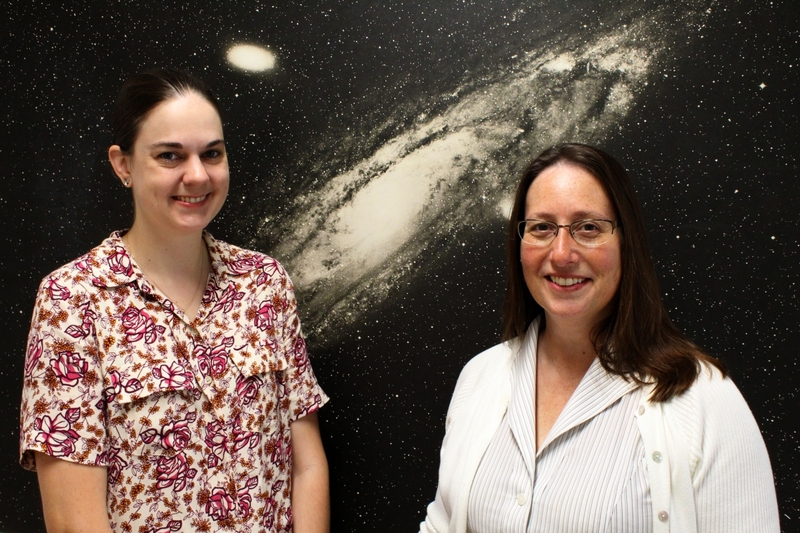 Postdoc Meredith MacGregor and Staff Scientist Alycia Weinberger from DTM's Astronomy team, June 21, 2018. Photo by Roberto Molar Candanosa, DTM. 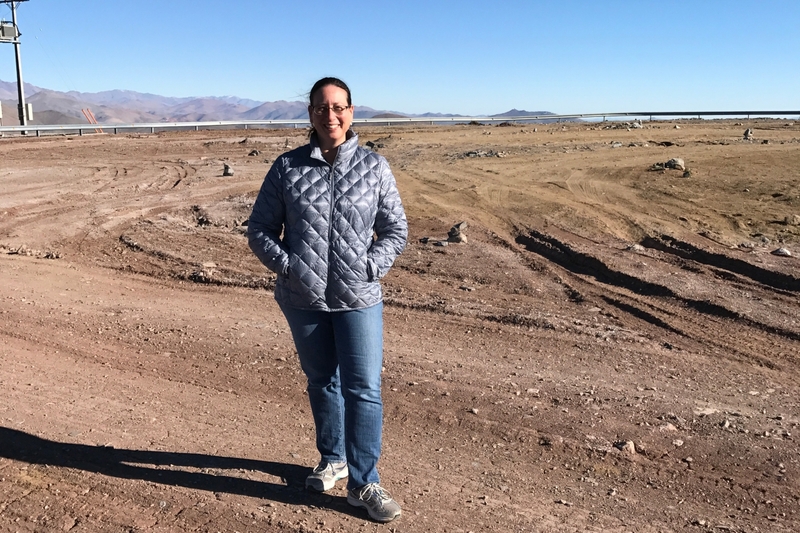 DTM astronomer Alycia Weinberger at the site of construction for the Giant Magellan Telescope, Fall 2017. Photo courtesy of Alycia Weinberger. DTM astronomer Alycia Weinberger took this panoramic photo of the construction site for the Giant Magellan Telescope at Las Campanas Observatory, September 2017.